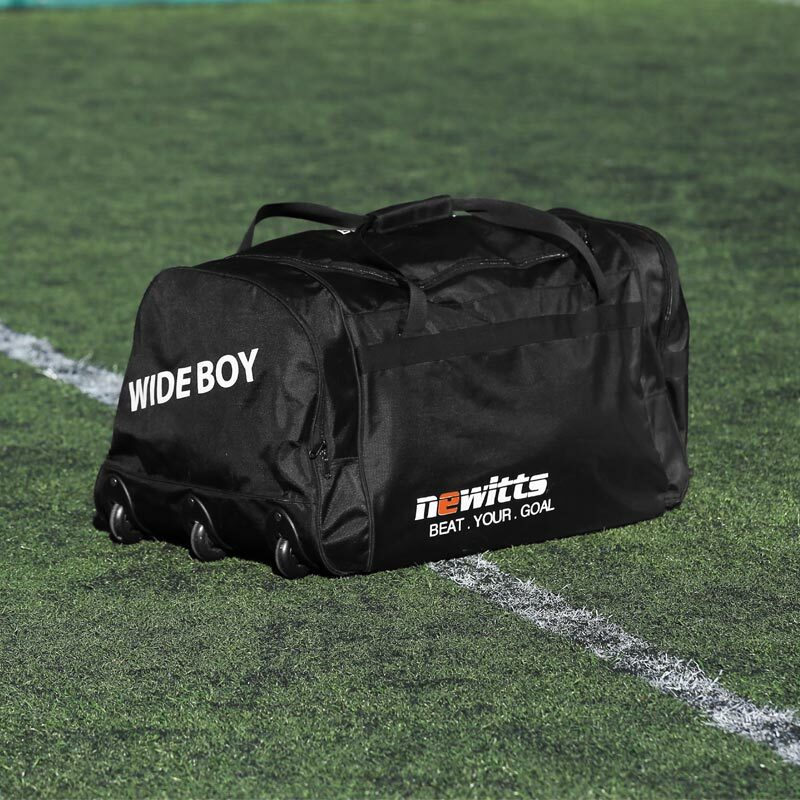 The Newitts Wide Boy Team Kit Bag Wheeled has been designed to carry a large capacity of equipment to meet demands of clubs, schools and players. With a spacious storage capacity of 135 litres, the bag has been made from durable high quality materials. A 3 wheel roller system to help take your team kit anywhere. Large end pockets either side of the bag for additional storage, usually used to keep team sheets away from muddy wet kit. 3 wheels to help carry large quantities with a pull hand carrying loop. Large end pockets either side of the bag. Size L 75cm x W 45cm x H 40cm. Excellent piece of kit - have used it for 2 ski trips - boots fit nicely in the end pockets and there's loads of space in mid section for everything else. Much cheaper and lighter than traditional ski holiday bags. Really pleased with it. Good piece of kit. Takes plenty of match day gear and gear value for money. Great alternative for ice hockey. Excellent quality. I am a football coach and for the price, the Wide Boy is very good value for money in my opinion. .
Pocket sizes are plenty big enough, as is the main compartment. If feels durable, although have only owned for a month, but so far so good. The wheels are good and I use them. I find I have to bend down slightly to pull it on it's wheels and therefore sometimes just pick it up, if I am not carrying anything else as well. Such a great additional bit of kit - especially useful for sammler or female coaches who need to lug around a LOT of kit, often for quite a distance. Very happy with this. Durable and practical. 5 out of 5 Bags of room! My use for the Wide Boy Kit Bag is non traditional. I am a yoga teacher and need to take lots of yoga mats and blocks to some venues. This bag has made my life so much easier - and saved my back and shoulders from potential injury. Fabulous fast service from Newitts too. Thank you! This Kit bag is excellent in more ways than one, it has ample space for all your kit & has handy pockets both ends which also have rest storage space. The wheels are a brilliant idea as you know how heavy kit can be to lug about. Real value for money, which is why i purchased another. Would Highly recommend. Good Product, durable and spacious. Useful for setting up large classes at the park due to its portability. I'll be using it to setup my Muay Thai class buiness. I bought this bag to keep Hockey Club kit in and aid transportation and it is great in both capacities. 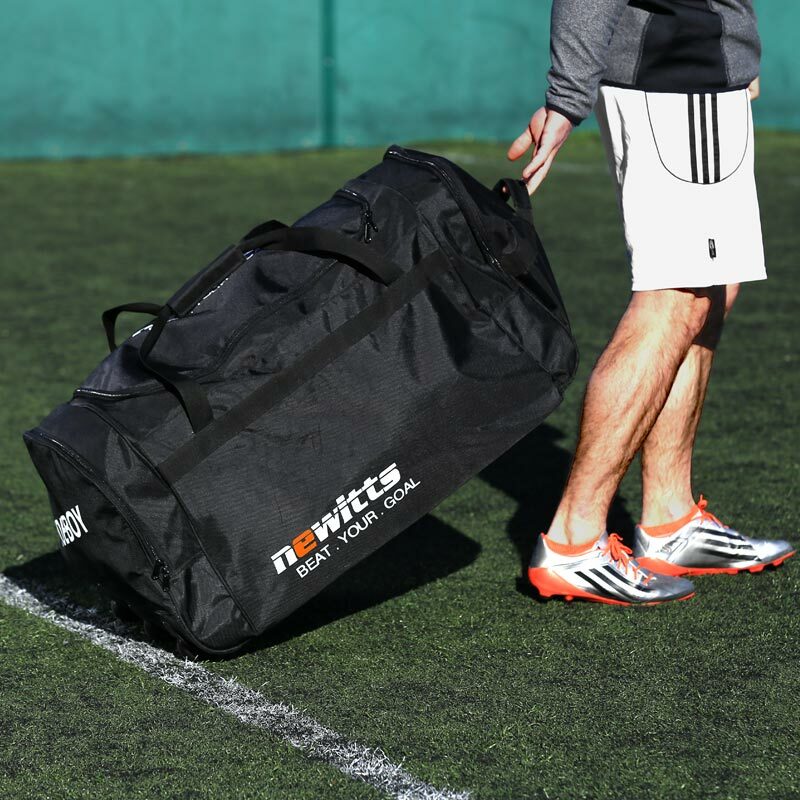 It is not as big as a hockey goalkeepers wheeled bag but it is less than half their price so offers good value. Happy to recommend this bag and may well buy another one so our remaining kit can also come out of a falling apart cardboard box!